This statistic illustrates the number of retail chains by sector in France in the year 2018. 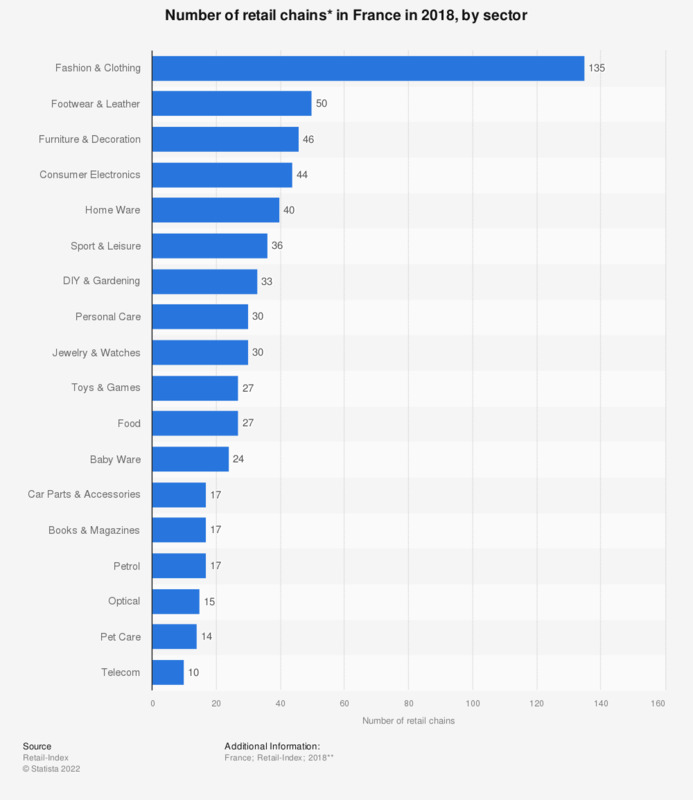 Overall, the total number of retail chains amounted to 390 and the leading sector was fashion and clothing, with 135 chains. Footwear and leather was ranked second, with 50 chains, followed by furniture and decoration, accounting for 46 retail chains.